So to form a question, did anyone else see the awesome shirt on WOOT! today? Granted, the tagline is a little SAD/CW, but I think it has an great, in your face, punk rock paleo essence to it! I think questions like this rate up there with what are our favorite Paleo comic strips and songs. Just doesn't seem to have much to do with nutrition and health. Agreed, thats what I meant in when I mentioned the SAD/CW above. 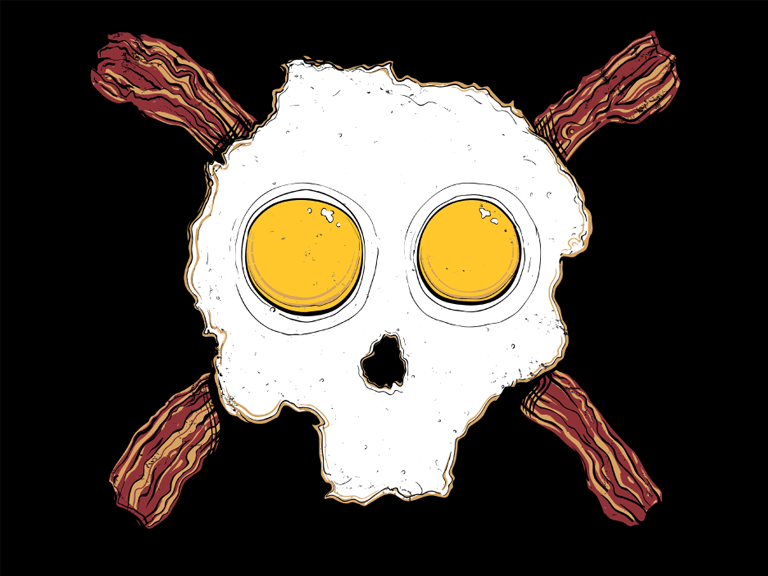 However, as a shirt on its own, I think it totally has a "f**k yeah eggs and bacon!" message. Glad you like it. Death to diabetes??? lol All I pulled up was the pic so I made up my own tag line! I'm not a fan that one. It's a little creepy. Seems like it was created by a vegan, truth be told.